One of my local, community leaders, Dennis Martin, specialized in Storage technologies. 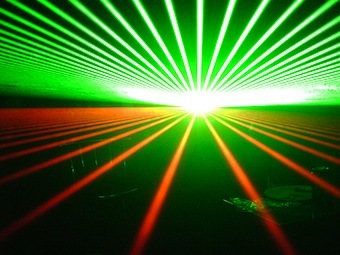 In a recent article of his, he discusses the use of lasers in magnetic media to improve the performance of hard drives. The disk industry has been experimenting with bit patterned media/shingled writes (see our post on Sequential Only Disk) and thermally or heat assisted magnetic recording (TAR or HAMR) heads for some time now. The TAR/HAMR heads use both magnetization and heat to quickly change magnetic moments in ferro-magnetic material (see our post on When will disks become extinct). The new study seems to be able to do away with the magnetic recording mechanism and is able to change the magnetic value with a short focused laser burst alone. But what does this mean for the future of disk drives.